FSI SID&GP | Is the H-hour for the common EAEU market coming? Front page » News » 2019 » Is the H-hour for the common EAEU market coming? Is the H-hour for the common EAEU market coming? In Radisson, the Хth Pharmaceutical Forum of the EAEU and CIS countries is ongoing. In the morning, regulators of the EAEU member-countries have been looking for reasons why there are only 28 applications filed for drugs registration under the uniform rules of the Union and, regardless of the fact that one product was, in fact, registered under the EAEU regulations in December, 2018, no Marketing Authorizations have yet been issued. At the session «GMP inspections of pharmaceutical manufacturers within the EAEU» commenced, representatives of the inspectorates from Armenia, Kazakhstan, Kirghizia and Russia, the pharmaceutical associations and the EAEC, having emphasized the positive trend of issuance of the first certificate of compliance with EAEU GMP guidelines, comprehensively discussed the issues of boosting the authority of a national regulator. As a reminder, currently, all countries of the Eurasian Economic Union have established their GMP inspectorates and are carrying out inspections of pharmaceutical sites for compliance with good practices. The youngest GMP inspectorate is the regulator from Kirghizia – the Division of Good Pharmaceutical Practices of the Department of Drugs Provision and Medical Equipment of the Ministry of Health of Kirghizia was founded in November last year. As it was emphasized by the Chairman of the Executive Board of the EAEU Society of Pharmaceutical Manufacturers Mr. Dmitry Chagin, the experience of establishing the common market of drugs circulation within the Eurasian Economic Union has demonstrated quite rapid dynamics of creating common regulatory documents: «As of today, almost all regulatory documents have been approved, as well as the due dates of transition to common standards, including the requirements for drugs registration and implementation of the quality control system. This process is of utmost importance for integration of the local pharmaceutical industry into the global system as, otherwise, it is impossible to comply with the requirements of technology partners, execute tech transfer or just simply implement advanced process equipment and production automation facilities, including information management systems, or export products to external regulatory environments.» At the same time, one of the key tasks in enhancement of the competitiveness of the pharmaceutical industry of each of the EAEU countries worldwide is still boosting of a national regulator’s authority on the global arena. 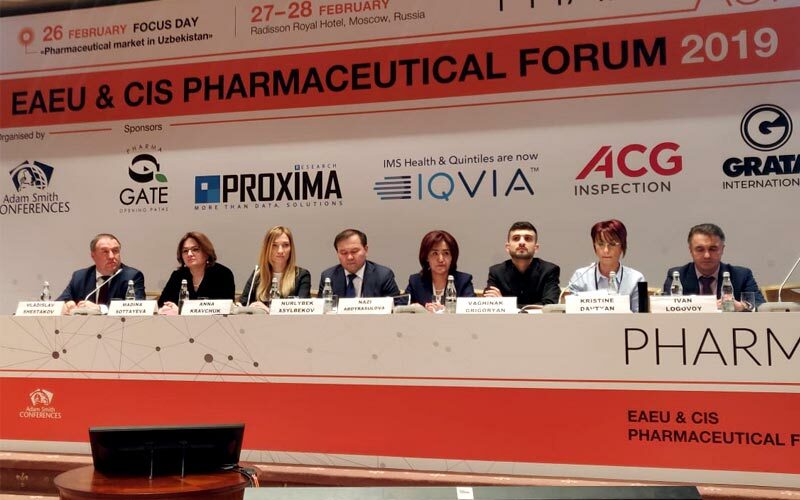 «If not, each market player will have to independently prove both the sufficiency of pre-clinical and clinical data for pharmaceutical products registration on external markets and the sufficiency of the scope of quality control measures towards manufacture and logistics of pharmaceutical products,» said Mr. Dmitry Chagin.